One myth about oil and gas drilling is that it creates riches in a community in the form of increased property values. “With all the new jobs,” the industry says, “buyers will be falling all over themselves to buy your property.” Not true. Over the next three days I’m going to look at how the expansion of oil and gas drilling in a community actually lowers property values, reduces the ability of property owners to borrow against their property and prevents them from obtaining insurance against the damage drilling causes. One important thing to understand about fracking is that it has brought drilling closer to the homes of more and more Americans. The technology is so much more efficient than conventional drilling that it is now more economical to drill in places where it was never possible to do so before. According to the Wall Street Journal, more than 15 million Americans now live within a mile of an oil or gas well. If you are one of the 20,000 people living in Stillwater or Carbon County this is not good news. Most properties in our part of Montana are split estates — the surface rights are split from the mineral rights. The mineral rights are dominant, so if you don’t own the rights to oil and gas under your land, you get very little benefit from having the drillers extract oil from your property, and the damage they do in getting it out — even if it’s on a neighbor’s property — devalues your home and your land. And there’s really not much you can do to protect your property rights from the oil and gas companies. They traditionally pay a small one-time fee for access (although not always), it’s very difficult to get compensation for the direct damage they do to your property, and it’s impossible to protect yourself against the devaluation of property in the community when it becomes the site of heavy industry associated with drilling. There’s now clear evidence that drilling destroys property values. Read on. In a 2013 survey of 550 people in Texas, Alabama and Florida, a strong majority said they would decline to buy a home near drilling site. 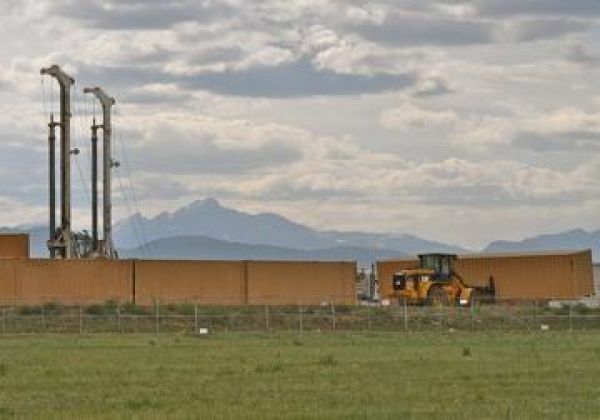 The study, published in the Journal of Real Estate Literature, also showed that people bidding on homes near fracking locations reduced their offers by up to 25 percent. The bottom line conclusion of the study, is that drilling drops home values by 5-15%. It’s logical that this would be the case. Why would you pay top dollar when you’ve got a noisy business running next door that fouls the air and threatens your water. A study conducted by researchers at Duke University found that the risks and potential liabilities of drilling outweigh economic benefits like lease payments and potential economic development in Washington County, PA. Even though lease payments can add overall value to homes with wells drilled on them, the possibility of contaminated water decreases property value by an average of 24 percent. The boost that comes from signing a lease offsets the increases, leaving a net decrease in value of 13 percent. But keep in mind that the lease payments assume that the estate is unified — something much more common in the East than in Montana. 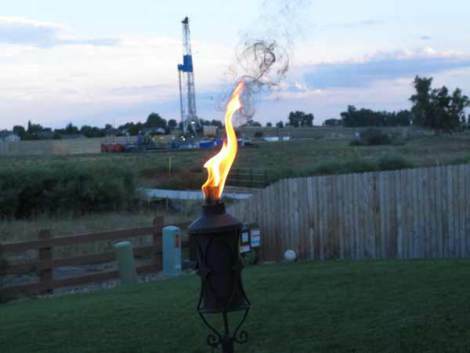 Faced with a boom in coal-bed methane development in the early 2000s, officials in La Plata County, Colorado studied the impacts of oil and gas development and found that properties with a well drilled on them saw their value decrease by 22 percent. In a 2005 peer-reviewed study, researchers found that oil and gas production “significantly affect the sale price for rural properties.” The study determined that the presence of oil and gas facilities within 2.5 miles of rural residential properties in Alberta, Canada reduced property values between 4% and 8%, with the potential for doubling the decrease, depending on the level of industrial activity. In Montana, where the oil and gas industry gets a tax holiday, surface owners wind up subsidizing them by paying property taxes on the land the drillers are using to get the oil. It’s a hidden cost, and as a taxpayer you pay and they don’t. If you don’t know whether you own the mineral rights under your property, you need to find out. If you do, it’s possible (but not guaranteed) that the lease payments will offset your losses. If you don’t, you are vulnerable to having your property rights trampled on by oil and gas companies. Tomorrow I’ll be looking at how drilling impacts your ability to get a mortgage. Aside | This entry was posted in Fracking Information and tagged Fracking, Mineral rights, property values, surface rights. Bookmark the permalink. Thanks for stopping in. Come back soon — I update often.